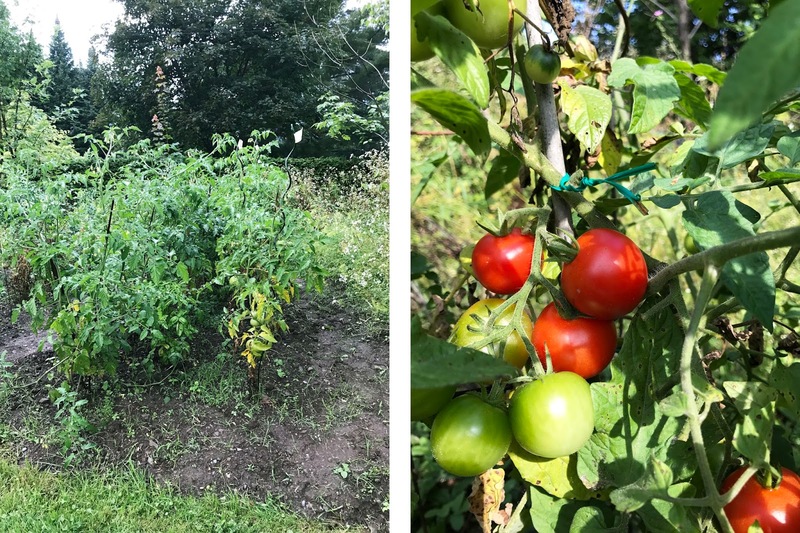 We tried our hand at gardening this year, and I can confidently say that we totally rocked it. Neither of us knew what we were doing, but we read books, asked friends and family, and just went for it. 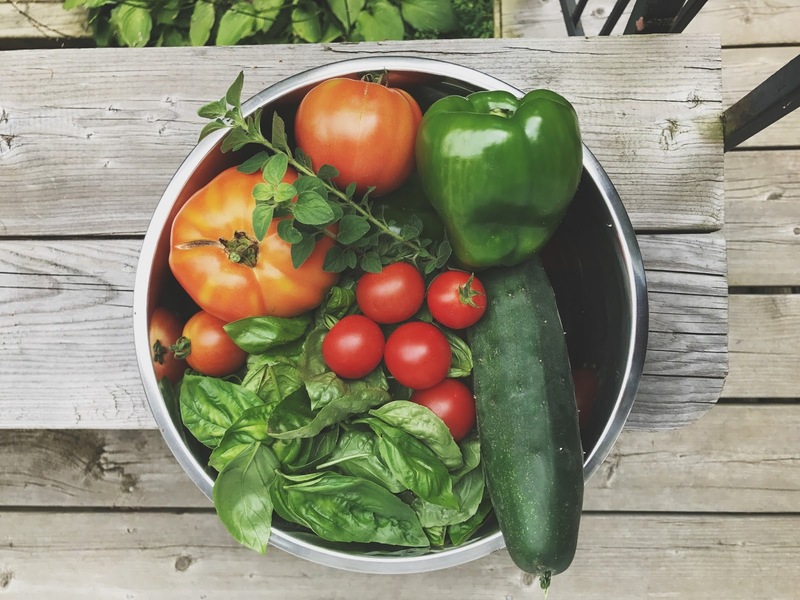 It definitely wasn't easy, and the quantity and abundance of weeds were far more than we could have ever expected, but nothing felt more satisfying than picking and eating produce that we grew, straight from the earth. We had rainbow chard, snap peas, cucumbers, beets, radishes, green peppers, kale, some herbs and onions, wild dill and tomatoes. We were also able to reap the benefits of perennial rhubarb, asparagus, raspberries and blueberries. The little garden that could. It was amazing. Last weekend's garden haul led to tons of basil and juicy red tomatoes. 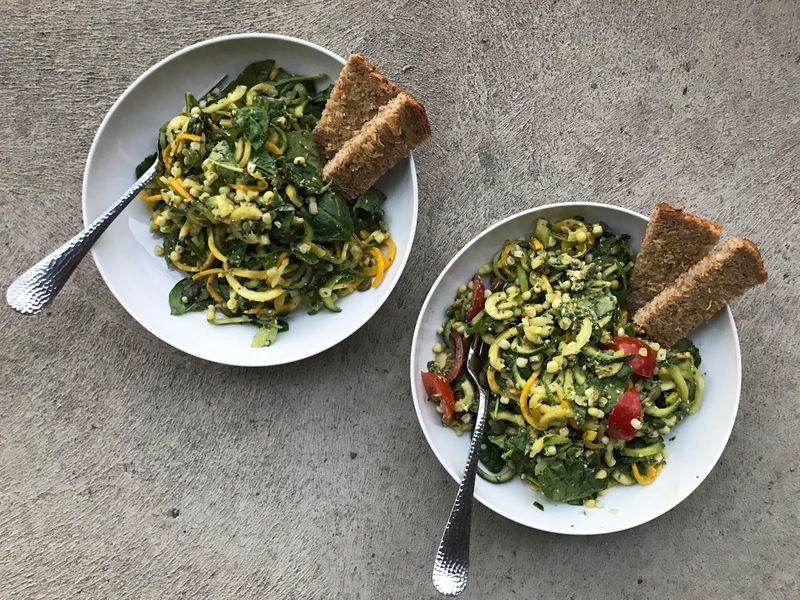 Then a friend gifted us a giant summer squash, and from there, this salad just came together. It was on repeat all week, and always with a side of garlic bread. Don't forget the garlic bread. 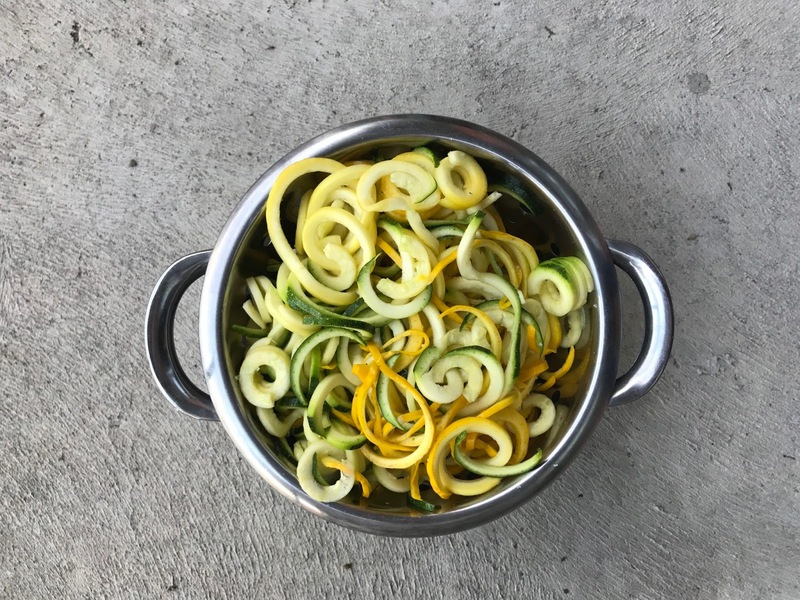 Spiralize the zucchini using the linguine blade. Add them to a colander and salt generously. Allow them to 'sweat' for 30 minutes. While the zucchinis are sweating, make the pesto. Place the corn kernels, chopped tomatoes, toasted seeds and greens in a large bowl. After 30 minutes, wrap the zucchini in a clean dish towel and squeeze out any excess water. 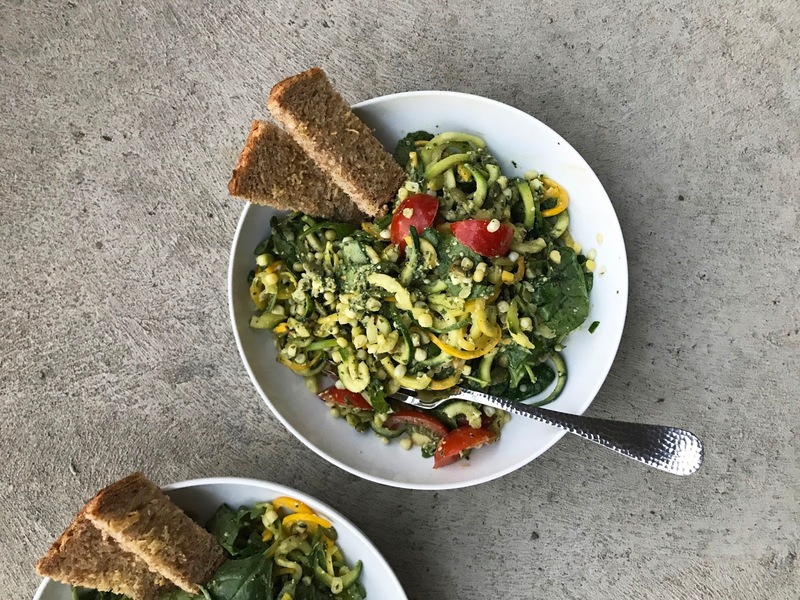 Just before serving, add the zucchini and pesto to the bowl. Toss to combine and serve immediately.